Nelson lies on the northern end of the South Island and enjoys long daylight hours (the second highest recorded sunshine hours in the country!). Already known for its beauty and sunshine, it’s also worth noting that the 20 or so, mostly boutique, wineries are producing a great range of Chardonnay, Pinot Noir, Riesling and Sauvignon Blanc. 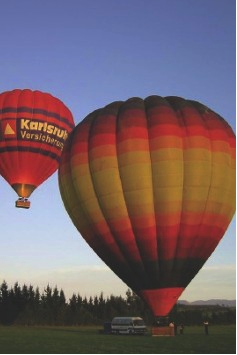 Nelson itself is an attractive town with many well-tended gardens and overlooks Tasman Bay. It is also the gateway to the popular Abel Tasman National Park and the Kahurangi National Park. Both are excellent for hiking and nature walks. In summer, there are golden sandy beaches to play on, and winter sees snow-capped mountains just waiting to be explored.? ?Whilst the region’s relatively small size means you can visit quite a few wineries in a short space of time, the arts and crafts, food exploration and leisurely wine tours could see you hankering to stay far longer than you intended! Many visitors will drive themselves around the area, but there are chauffeured tours if you prefer not to indulge and drive. Meet the Swiss owners for a tasting with fantastic views. Producing an award winning pinot gris, chardonnay, sauvignon blanc and pinot noir, mostly from grapes grown on clay soils, made in the traditional way at the boutique vineyard. Open year round by appointment. Family-owned boutique winery producing award winning wines from single vineyard grapes. Country lunches and cellar door tastings in an attractive setting. Open Wednesday to Sunday in summer, Wednesday to Friday in winter, or by appointment. A boutique vineyard owned by Gary and Valley Neale, specialising in sauvignon blancs, chardonnays, rieslings, pinot noirs, and merlots. Their signature wine is the Brightwater Gold, a sweet dessert white that won Gold at the Royal Easter Wine Show. Cellar door open daily from October to March. Producers of Hope pinot noir, chardonnary and pinot blanc as well as Greenhough riesling single vineyard wines. Open weekdays only from Labour weekend to Easter. Kaimara Ventures (5) – www.kaimarawines.co.nz? The first CarboNZeroCertTM winery in Nelson producing aromatics, chardonnays and pinot noirs from the Kaimara Estate and Brightside ranges. Cellar door and art gallery. Open Labour weekend through to Easter – closed Sundays. Seifried estate (6) – www.seifried.co.nz? One of the oldest and considered one of the largest wineries in the area, yet it remains family run. They pride themselves on “food friendly” wines winning international prizes along the way. Labels include Seifried, Winemakers Collection and Old Coach Road. Cellar door is open year round. Call for reservations. Te Mania Estate (7) – www.temaniawines.co.nz? Consistently produce vibrant fruit-driven white wines and well-structured elegant reds. Cellar door, open daily, offers tastings of rieslings, chardonnays, pinot noirs, merlots, and more. Facilities include the Grape Escape Café, arts and crafts for sale and a children’s playground. Try their Richmond Plains label, too. Producer of NZ’s first sauvignon blanc and pinot noir from certified organic and biodynamic grapes. Open daily in summer and Monday to Friday in winter. Waimea estates (9) – www.waimeaestates.co.nz? Cellar door sales and tastings of Waimea and Spinyback wines. Their Bolitho Signature Vineyard range is produced only when vintage conditions produce something truly exceptional. Indoor/ outdoor dining among the vines, local art exhibited and live music on Sundays. Open daily in summer – phone for winter hours. Great café and wedding venue. Rimu Grove Winery (10) – www.rimugrove.co.nz? Handcrafted pinot noir, chardonnay, pinot gris and riesling wines. Sales, tasting and winery/vineyard tours available. Open daily September through May and other times by appointment. Single vineyard wines with cellar door sales of sauvignon, blanc, riesling, pinot gris, chardonnay and pinot noir. Luxurious lodge and cottage accommodation. Open Thursday to Monday in summer, in winter by appointment. Kina Beach Vineyard (12) – www.kinabeach.co.nz? 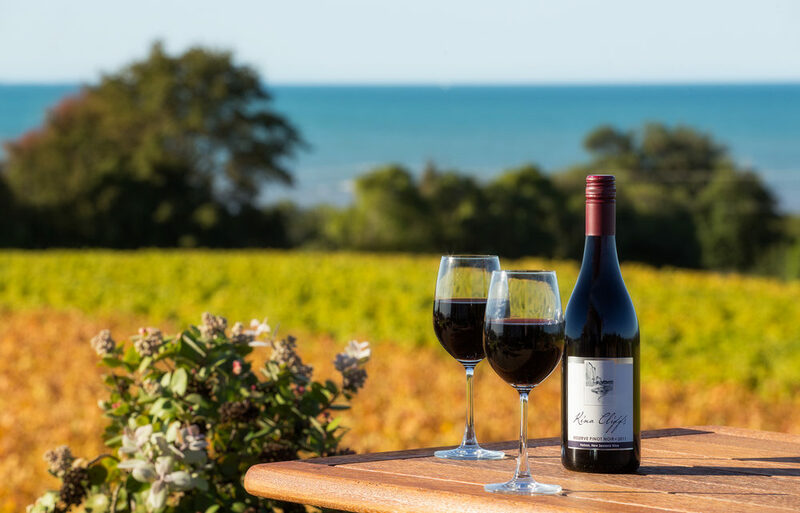 A stunning coastal setting producing single vineyard multiple award winning wines. Accommodation provided in the Old Schoolhouse vineyard cottage. Open year around for seated wine tastings and cellar door, but do phone ahead. Simplicity and gentle processes produce award-winning results. Winery is not open to the public, but tastings are held regularly off-vineyard … check the website for details. Anchorage Wines (14) – www.anchoragewines.co.nz? A family-owned winery established by the Drummond family and producing award winning wines. Cellar door is open Wednesday to Sunday in summer and by appointment in winter. Overlooking the Motueka River Valley, producing handcrafted sauvignon blanc, pinot gris, riesling and pinot noir. B&B accommodation. Cellar door open daily October to end of March. Riwaka River estate (16) – www.riwakariverestate.co.nz? Producing “resurgence” wines – individual, handcrafted wines of unique and distinctive character. Olive oil also available. Open October to April or by appointment. Producing one of the best chardonnays in NZ and has earned praise for its pinot noirs, rieslings, sauvignon blancs, and pinot gris. Cellar door is open daily from September to end of May. Take a picnic lunch and enjoy great views of the Moutere Valley. Orinoco Vineyards (18) – www.orinocowines.co.nz? Producing fine pinot noir, chardonnay, riesling, sauvignon blanc and rose. Tastings with the winemaker are by appointment only. Himmelsfeld Vineyard (19) – www.himmelsfeld.co.nz? Wander the walkways, visit the tiniest farm chapel in NZ, see stunning sculptures and visit The Wine Loft. Open October to May or by appointment. Glovers Vineyard (20) – www.glovers-vineyard.co.nz? Producers of long-lived, well structured traditionally styled red and white wines for cellar or table. Open daily for much of the year. 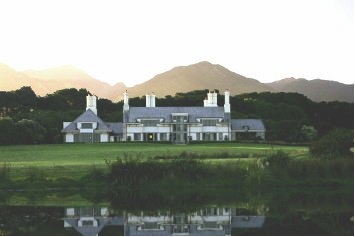 Fine wines, gallery and tasting platters on the lawn. Live music on the first Sunday of the month from November to April. Wine tastings daily from mid-October to end April. Cellar door and gallery open year round. Kahurangi estate (22) – www.kahurangiwine.com? Handmade wines boasting some of the oldest commercial vines in the South Island. Cellar door open from August through June, with a $2 tasting fee refunded upon any purchase. The Estate’s two-bedroom Vineyard Cottage offers a taste of luxury among the vines. Sunset Valley Vineyard (23) – www.sunsetvalleyvineyard.co.nz? Bio-Gro certified, producing premium wines. Cellar door and holiday accommodation overlooking the Kahurangi National Park. Open daily November to April and by arrangement at other times. 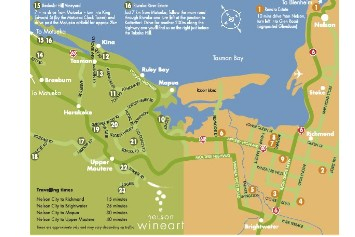 Wine exposed tour with Noel Kennedy – www.newzealandnaturetours.com? Brightwater Wine and Food Festival, 21 February 2010 – a great day out for the whole family. Taste local wines and beers, and cuisine from some of the area’s best restaurants. entertainment for children. Pre-booked ?tickets NZ$12, or NZ$15 at the gate, kids under 12 free. www.bwff.co.nz? Concert in the Cellars, Woolaston estates, 24 Oct, Michelle van Hautem–Brel, Pre-order a platter of local produce e: events@woollaston.co.nz?